You can choose to manage these email accounts through your hosting company’s email interface or manage the account through your personal internet email address or with Outlook. I manage my blog email addresses through my personal Gmail account. If you would like to do the same, visit Settings ? Accounts and Import in Gmail. Choose ‘Send mail from another address’ and follow the prompts. Your hosting provider should also give you instructions for setting up your first FTP user (if one was not already set up for you). FTP, or file transfer protocol, is the way that you upload and download files from your server. 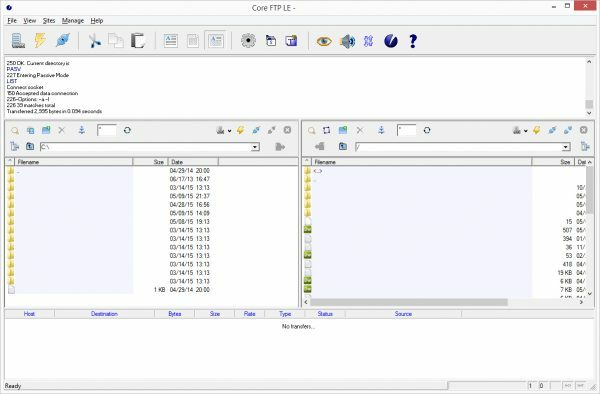 Your hosting provider will give you access to a web FTP program that is good in a pinch, but to get the full power of FTP I recommend downloading one of the several free FTP programs available. I personally use Core FTP, which you can download for free here. In essence, what this program allows you to do is to transfer files back and forth from your computer to your server with one click. Username – this is specified either by your hosting company or by you within your hosting company’s interface. Password – also specified by you or your hosting company during setup. The port for log in is typically 21 (verify with your hosting provider). Your connection type is FTP. Now you’re ready to rock and roll with FTP, you have email, and your server is a blank slate. Next in this series, we’re ready to install WordPress! Several seasons ago, there was a duo on the Voice by the name of Midas Whale. Legend has it, one member of the duo asked the other if he wanted to form a band, and he replied “Might as well”, and thus the name was born. From then on, in the office, each decision we made because we “might as well” was referred to as a Midas Whale. Over time, I’ve come to the realization that though he may originally appear cute and harmless, the Midas Whale is a dangerous predator. It’s so easy to follow the Midas Whale that the best alternative may be left by the wayside. You’re going down the path of least resistance. You might not truly want to take the route, but you can’t think of a reason not to. Your first choice wasn’t available, so this is the next best thing. Other people are doing it, so you think you should as well. Is there another course of action with a higher potential upside? Am I doing this because it’s easy, or because it’s best? What do my instincts say about the choice? Am I swimming with the current (pardon the pun) or simply being carried along? 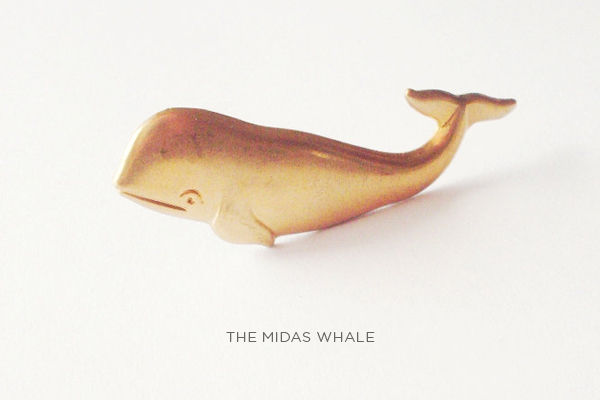 Have you followed a Midas Whale? How did you feel about your decision? With our lives moving at an incredibly fast pace and our attention spans becoming ever more diminished, your website’s first impression is becoming increasingly important. Did you know that the average user forms an opinion about your site in 50 milliseconds? Or that the majority of readers spend less than 15 seconds on a webpage? So, as website owners, our challenge is to make a good first impression, and keep our content sticky. 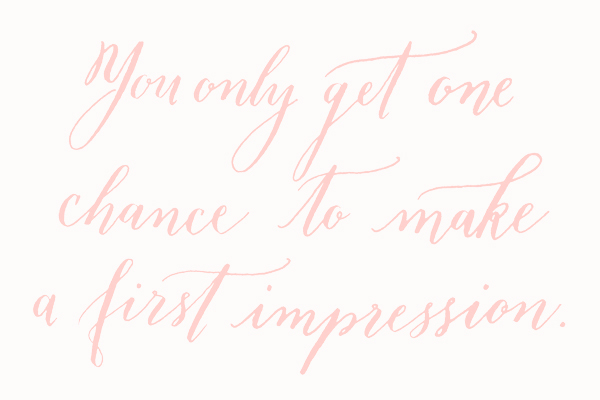 How do you make a good first impression with your website? A website’s first impression for me is all about the layout. The menu bar tells the whole story – it is where I like to see a blog’s main topics. From there, I like to be able to use tags to quickly find my way around to what I’m looking for. I’m a self-professed design and lifestyle blog junkie. The first thing I notice about a site is the layout, design and photography. 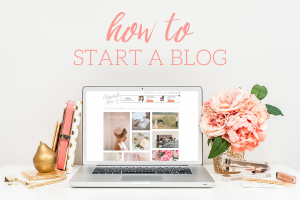 A blog that makes a great first impression has a simple, pretty layout that is easy to read and pleasing to the eye and showcases great photography. If one or the other is off I’m not likely to return. What do these answers have in common? They both form their feelings about a site at the first moment they see it. If it’s cluttered, difficult to navigate, or not appealing to their eye, they aren’t likely to stick around. They may not have read a word and yet they are ready to leave. What do you think makes people come back? These are the things that keep me reading when I visit a new blog: clean layout, unique design that says who they are, good grammar, content that is obviously written with a wider audience than one’s family in mind, and posts that aren’t consistently about the banal things in life. The one exception to the banality rule? Those who can write about the mundane and make me laugh. If you’re one of those few genuinely funny people out there you can write about putting the groceries away or retrieving the mail from the mailbox and I’ll still keep reading. 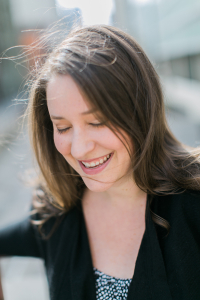 Jenna is a reader that truly wants to engage with a blog author. If you are a follower of her blog, this won’t surprise you, as her own blog is personal and she has built a wonderful community with her readers. Being personal isn’t just for “personal blogs”. If you are in the wedding industry, you no doubt know the name Lara Casey. Lara’s site and social profiles promote her business, but also gives potential clients and industry readers a window into who she is as an individual. She is branding herself as much as she is branding her talent, and people want to connect with her, as well as connect with her work. What resonates with you when you read a blog for the first time? What makes you return for more? Ah, the land of smoke and slot machines. Las Vegas is an interesting case study, economically. Hotels are luxurious and relatively inexpensive, yet restaurants and shows are exorbitant. The casinos will give you free drinks, even at the penny slots, but a cab down the road is $20. So what can we learn from Las Vegas about how to run our business? Whatever it is that you’d like people to consume, you want to find a hook—something that keeps them coming back for more. Is it your amazing photography? The unique and creative product that you are selling? Your sparkling wit and dazzling intelligence? Putting out good products or information on a consistent basis? Creating “sticky” content? As people find your site, do you lead them through to other content by using related post functionality or backlinks to other content? Providing something that gives them immediate gratification? For example, if someone reaches your website through a google search for “Seattle wedding photography”, are Seattle weddings what they see when they get there? Showing them who you are, what you do, and how to get in touch with you through easy to find links? Casinos have this one down, don’t they? Not only does the free liquor make people feel as if they are receiving some sort of value for their time and money, but it impairs their judgement. We’ll skip the fuzzy memories and the “What Happens in Vegas Stays in Vegas” attitude and focus on the giving piece of the equation. Customers are more likely to buy your product if they have seen tangible proof that your work is fabulous. People are more likely to pay for supplementary content if your free content rocks (think e-books, magazines, etc). Give people something of value to them, whatever that something is (a discount, a sample pack, a great shopping bag — hello, lululemon!) and they are far more likely to purchase from you in the future. Anyone who’s ever walked between casinos in Las Vegas knows this one. Hence all the tourists in fanny packs and sneakers. If you’re like me, you tend to underestimate the time it will take to get something done. “Just 5 more minutes” turns into a half-hour of editing a blog post, or responding to emails. I also overestimate the energy that I will have to devote to projects on an ongoing basis. Budget your time as well as you budget your money. Make sure that you accurately assess the effort it will take to reach your goals, or complete your daily tasks. Pushing to reach the finish line is a great thing, but not if you are exhausted and tapped out in the end. I’m not an advocate of “slow and steady wins the race”, more like “focused and controlled helps you reach your goals faster”. You shouldn’t be gambling your life savings away. We’re not even talking huge leaps of faith here, although it could be. It may be the daily risk of putting yourself out there on your blog. Or the risk of creating a new product line that stretches your business boundaries. Or even something as simple as taking a small capital risk by advertising on a new website or attending a conference. How are you taking risks in your business? What are you doing to invest in your success? Are you committed to your business strategy, even if there are obstacles? 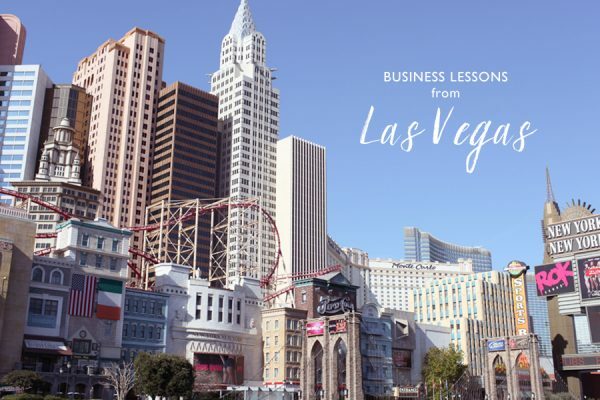 What else can Las Vegas teach us about business? We’ve talked about the legalities and etiquette of images in your blog posts. 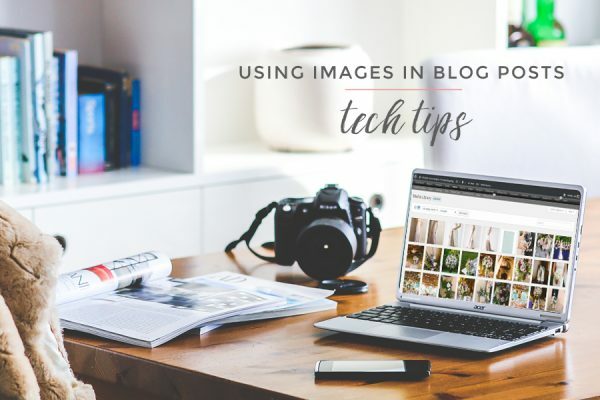 Today, let’s chat about some of the tech tips for blog images. High resolution images are a no-no. Not only will it kill the speed of your site to host high resolution images, but it’s also bad blogging etiquette. Use WordPress’s built-in Media resizing functionality to help you out with resizing. Under Settings -> Media you can supply a thumbnail size, a medium size (I use this for vertical images) and a large size (horizontal). As you upload photos, WordPress will automatically create copies of the image resized to each of your specified dimensions. Because most people are viewing your site on a widescreen monitor, portrait/vertical photos should be sized to about half of the width of landscape/horizontal photos. This will help to keep the file sizes smaller, as well as keep each image within the viewable area of everyone’s screen. For aesthetic reasons, this is why many blogs choose to “pair up” verticals in their posts. A lot actually. Search engines can’t “see” images, they simply recognize the caption (aka alt text), title, and image name and read those to index the image. Name your images something descriptive and WordPress will automatically fill in the alt text with your image name. When deciding on a file name, put yourself in the shoes of the searcher. “Juli and Jon Wedding.jpg” likely won’t produce any search hits. But “Yellow Sunflower Bouquet.jpg” might. Your alt text will also become your default Pinterest text when a reader pins an image from your site, so choose wisely! In future posts, we’ll cover more advanced WordPress image issues, such as custom fields for image photography credits, media tagging, and the like. What other image tips and tricks do you have to share? MBA-turned-blogger (est 2007). Cupcake addict. Tech geek. Wife. Furmommy to Mollie.